After taking a season off from his FX show, Louis C.K. returns Monday – on his own terms. Louis C.K. – and "Louie" – are back. The most recent season of "Louie" centered largely on what turned out to be a prescient plot: the impending retirement of David Letterman. In the alternate "Louie" universe, Louis C.K. was secretly groomed as Letterman's replacement, only to unexpectedly lose out at the last moment to Jerry Seinfeld. C.K., after being played as a pawn in network negotiations, stood in front of the Ed Sullivan Theater, laughing and cursing his (real life) old boss Letterman. 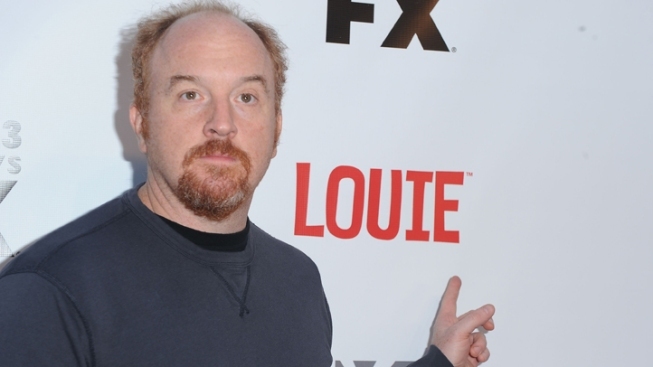 The scene offered a rare "Louie" instance in which the usually gloomy C.K. won by losing: He proved himself worthy of the big job, yet escaped its trappings. Louis C.K. finds himself in a similarly enviable position Monday as "Louie" returns to FX Monday for a fourth season nearly two years after the debut of Season 3. He's a performer with the freedom to take off a year from the show he writes, directs, edits and stars in – and return on his own terms. It's hard to know what to expect next from a program that's specialized in radical shifts in tone since its debut in the summer of 2010, defying easy labels like "sitcom." Last season, the desire for escape emerged as a theme through some very different episodes that included a troubling sexual encounter in a car with an acquaintance (Melissa Leo), Louie's fantasy James Bond-like getaway from his estranged father's doorstep after being bullied into a visit by an overbearing uncle (F. Murray Abraham), and his decision to flee to China on a whim after the sudden death of an ex-girlfriend (Parker Posey). The China trip, which ended the last season of "Louie" with C.K. eating and laughing with a peasant family, offered another rare opportunity to see him smile. The charming, if out-of-nowhere, capper marked a product of the creative restlessness that drives C.K., whose comedy usually thrives on uncomfortable moments. Since the last installment of "Louie," C.K. turned up twice on "Saturday Night Live," and earned strong notices for small, if key parts in "Blue Jasmine" and "American Hustle." He returned to HBO in 2013 for a stand-up special, two years after spurning the network to sell his previous routine online at $5 a pop. The HBO special, titled “Louis C.K. : Oh My God,” displayed his development as a storytelling comedian less interested in jokes than in exploring human behavior and mortality. That approach also surfaced during the most recent season of “Louie” as he upped the dark undertones – perhaps no more so in the episode in which Robin Williams portrayed a fellow non-mourner at the funeral of a man both hated. C.K. has always been an observational comic, but he's become more adept at playing off others – his reactions and nonverbal processing of the craziness around him are the strongest part of his acting, on his show and in the movies. His name didn’t come up in the real-life Letterman replacement race, which was won by Stephen Colbert. That’s almost certainly fine with C.K., who has come to clearly treasure his creative liberty. As we await Monday's Season 4 of “Louie,” check out a preview below in which he tackles the one subject he can’t seem to escape: death.